Are you looking for powerful ways to grow your business as a savvy author? Listen and learn from small business development expert, Mark LeBlanc, as he shares proven strategies to build and grow a profitable small author business. 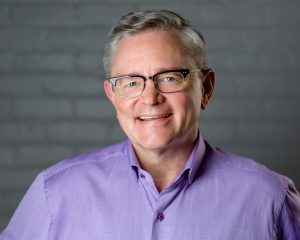 Mark LeBlanc is the architect of a unique business development philosophy that zeroes in on the core issues that small business owners face daily. Little did he know that, at 21, how inspired he’d be by his employer’s words, “You don’t have the work ethic to make it in your own business” and just six months later, Mark would venture out on his own and never look back. Thirty-three years later, Mark shares his expertise on how to grow a business using nine best practices. He has been a speaker and business coach for over 25 years. His Achiever Circle Business Retreat is the anti-bootcamp for independent professionals who want to grow their business and put more money in their pocket. He wrote the book “Growing Your Business” which has become an underground bestseller and his most recent book “Never Be The Same” was inspired by his short 500 mile walk across Spain and the proceeds from his book sales go into his foundation for young entrepreneurs and to date he’s given nine $3,000 grants to kids with a dream. Q: Mark, what is one key skill you believe listeners need to really grow their business? A: There’s obviously many because we wear so many different hats when we run our own business and so many of your listeners, I think, are like me. We’re independent professionals who sell our time and our talent, our experiences, our expertise, and we wear a lot of hats. I’ve been on my own, virtually, as you said, my entire adult life. 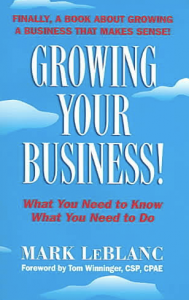 I owned a creative graphics printing and mailing company for ten years from 1982 to 1992 and then I grew and sold that business and became a full time speaker and business coach and author of several books. I named my company Small Business Success in 1992 and got off to a roaring start. In fact, I did not earn a nickel in my first twelve months. It was a goal that I don’t remember setting. And when your company name is Small Business Success, that certainly is a gap. I’ve probably never met an excuse that I didn’t have an intimate relationship with myself. And today, when I look back, I think for most small business owners, it’s the money side of their business that must come into focus. When the sun and the moon and the stars lines up around the money side of your business, then things start to click and to fall in place. To contact Mark for more information about his services.